Pictures of your dog could help us get a new space for our park! 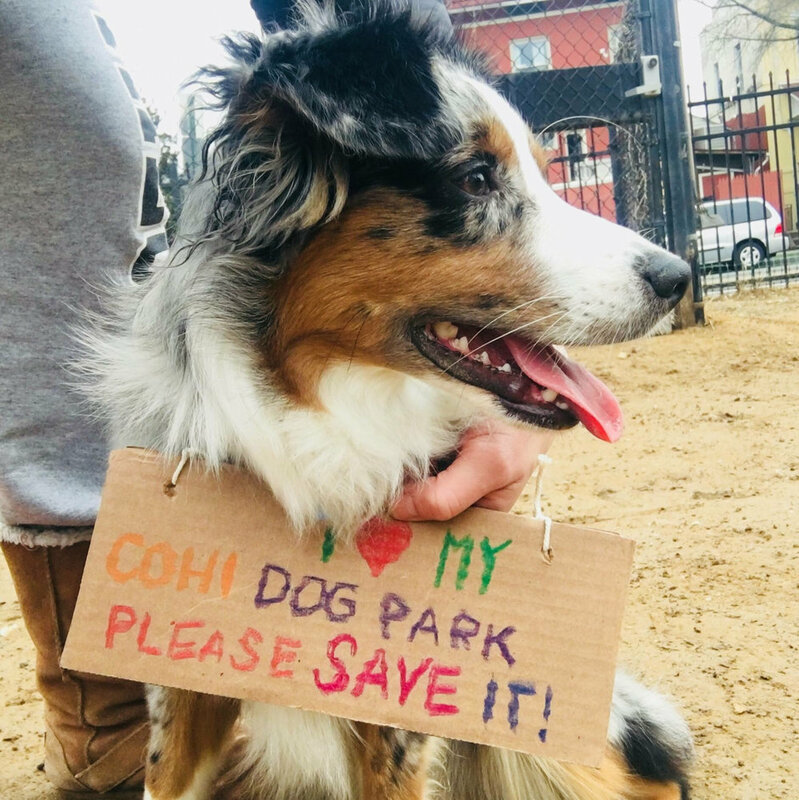 Now you have an excuse for posting even more photos of your dog on Twitter, Instagram, and Facebook—it's a great way to help us get a new park. Make a "we need a park" sign at home or go to the park and choose from one of the signs hanging on the fence. This could be the hard part. Try to get your dog to wear the sign and look at the camera. Some of you might end up with photos of your dog next to to the sign. Or running away with the sign. Or eating the sign. All that really matters is that we can see your dog and read the sign.